Customers are looking for solutions offering the advantages of vehicle rental but without any long-term obligations. Our short- and middle-term rental offer is a simple and flexible product. Short-term rental contracts give our customers the possibility to use our vehicle fleet whenever they need it, so they can be sure of full control over their business. 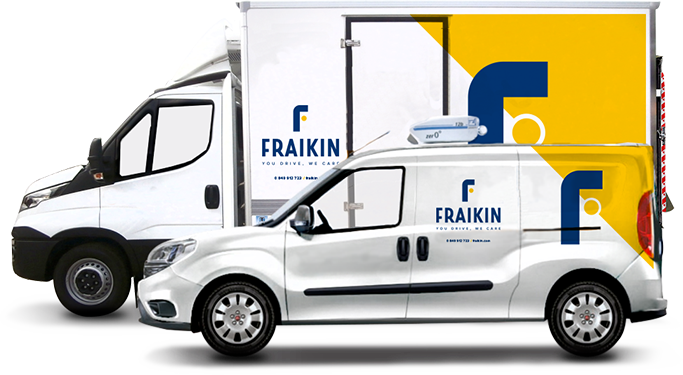 Innovative solutions from Fraikin, is a new service for measuring transport temperature, based on temperature recorders. The device allows the customer to fully monitor the temperature conditions from the place of product storage, through transport, intermediate points during transport, to the final unloading of the delivery. The daily cost of renting a temperature recorder is 10zł! Deductible purchase – eliminate the risk! Redemption of Shares in Damage to services determined in the short-term rental contract as an additional value, involving the costs of liquidation of possible communication damage. The exhaustive property makes all the data in the state of damage Fraikin Poland takes. Why rent a vehicle from Fraikin? The administrator of your voluntarily disclosed personal data is Fraikin Polska Sp. z o. o. with its registered office in Warsaw (02-677) at ul. Taśmowa 7. Your personal data will be processed in order to answer your inquiry made by means of our contact form and to send you commercial information in future. You have the right to access and amend your personal data. We inform you that the your personal data may be disclosed to legally authorised entities.